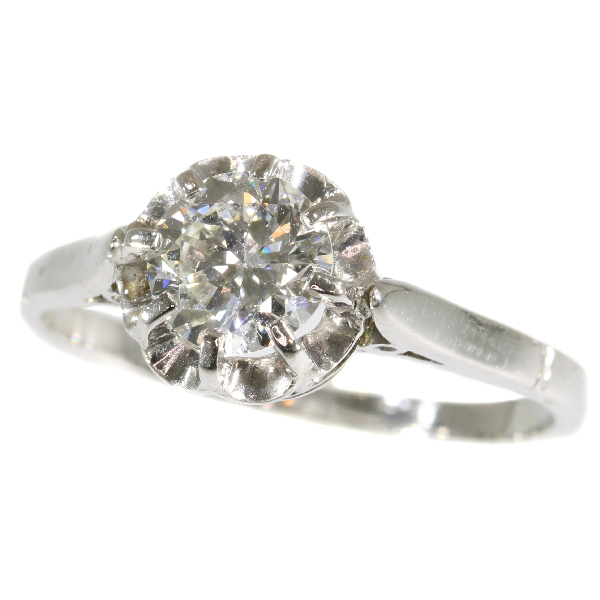 Art Deco platinum diamond solitaire engagement ring (ca. 1920): Description by Adin Antique Jewelry. Diamond(s): One old European cut diamond with an estimated weight of ± 0.78ct. (colour and clarity: F/G, vs/si). Resizing: Only for extreme changes we will charge something.